Convicted gang member of Black Guerrilla Family, Garrion McCellan. 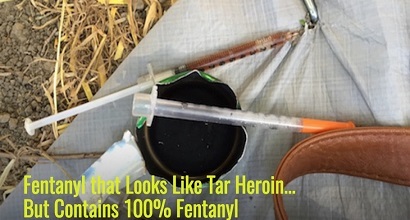 Garrion McCellan, 30, distributed heroin and fentanyl in and around Pedestal Gardens within an apartment complex in the 300 block of McMechen Street, in the crime-ridden city of Baltimore, Maryland. McCellan also confessed that he killed two people believed interfered with his gang’s drug operations, at the direction of the alleged leader of the Black Guerrilla Family. 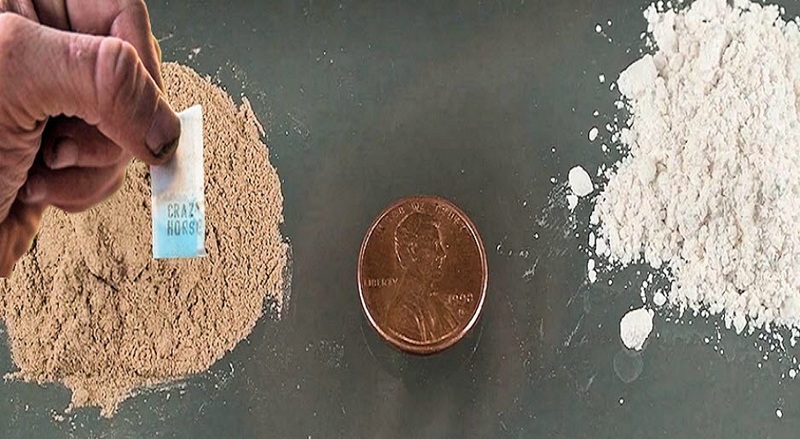 The city’s Acting Police Commissioner Gary Tuggle says the Baltimore resident worked with others — including Jamal Carter, 24, and Dymir Rhodes, 32 — to maintain a stockpile of narcotics and other drugs at a house in Catonsville. 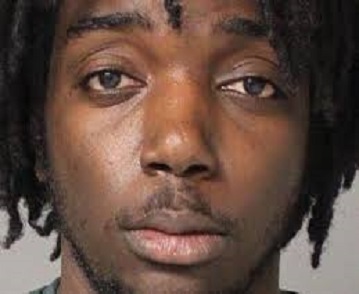 According to his plea agreement, MCellan conspired with others, including Jamal Carter and Dymir Rhodes, to distribute heroin and fentanyl in and around Pedestal Gardens, an apartment complex in Baltimore. Carter, Rhodes, and others maintained a “stash” house in Catonsville, Maryland to store drugs and drug proceeds, and to process and package drugs for distribution. Rhodes supplied McCellan with “packs” of heroin and/or fentanyl, which McCellan redistributed to drug users at Pedestal Gardens. Each “pack” typically contained between 25 and 50 gel capsules of the drugs, totaling approximately 2.5 to 5 grams. McCellan and other co-conspirators routinely distributed 40 to 50 packs of heroin and fentanyl in one day. As detailed in his plea agreement: on October 7, 2015, McCellan shot another individual at the direction of the leader of the drug organization, because that person was disrupting the organization’s drug operation by robbing drug dealers in the area. On October 7, 2015, McCellan and Carter contacted the individual using the ruse that they wanted help to rob other drug dealers. McCellan and Carter arranged to meet the victim in the 1400 block of Druid Hill Avenue. While the victim was putting on gloves in preparation for the purported robbery, McCellan shot the victim multiple times at close range, killing him, according to the Justice Department’s and FBI’s press statements. McCellan admitted that during his participation in the conspiracy he and his co-conspirators distributed between one and three kilograms of heroin. McCellan and the government have agreed that if the Court accepts the plea agreement McCellan will be sentenced to between 300 and 360 months in prison. U.S. District Judge Catherine C. Blake has scheduled sentencing for September 21, 2018 at 9:15 a.m.
Jamal Carter, age 24, and Dymir Rhodes, age 32, both of Baltimore, previously pleaded guilty to their participation in the drug conspiracy, and were sentenced to 11 years and 10 years in prison, respectively. Attorney General Jeff Sessions reinvigorated Project Safe Neighborhoods (PSN) in 2017 as part of the Department’s renewed focus on targeting violent criminals, directing all U.S. Attorney’s Offices to work in partnership with federal, state, local, and tribal law enforcement and the local community to develop effective, locally based strategies to reduce violent crime.